When you have bought bread for your meal, consider abandoning your commitment to eat everything French. 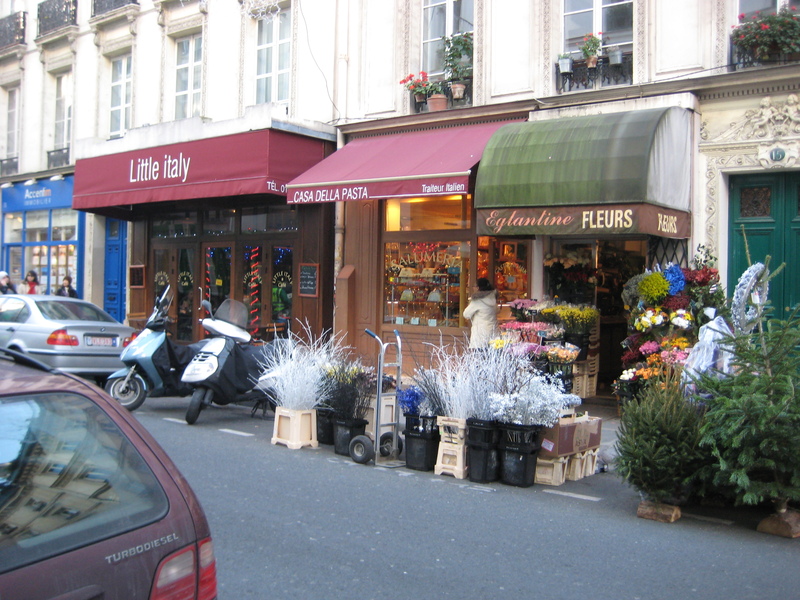 On the south side of rue Rambuteau between rue du Temple and rue des Archives right next to a flower shop sits Casa della Pasta, a shop specializing in fresh pasta, Italian cured meats, and antipasti prepared food. A few years ago, I provisioned a party for 25 people largely from this store.